​Echo was introduced to Overwatch fans in the "Reunion" short at BlizzCon. She is a new character who is potentially gearing up to be an important character to the game's lore. She is an incredible character based off the little information fans were given in her debut, and it is important that Blizzard adds her to the game sooner rather than later. 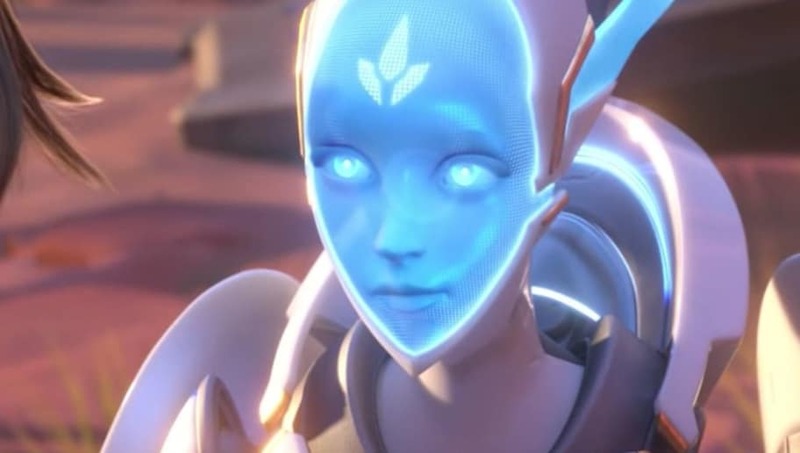 ​​Prior to BlizzCon 2018, Echo was an unknown character to players and those invested in the game's lore. Echo's design appears to be based off an old design of what was possibly meant to be Athena, though it is unconfirmed if the design was Echo all along, but her identity was not revealed until BlizzCon. The ​"Reunion" short was the first time players were properly introduced to Echo, and it left more questions than answers. Echo is a confirmed hero, even though ​she will not be Hero 30, and will be one of the very few omnic heroes in ​Overwatch. She will be a great example of what omnics are capable of doing, and the importance of omnics in general. In the universe of Overwatch, the Omnic Crisis was a major event that turned self-aware robots (omnics) against humanity in a decade-long war. The events of the war impacted the majority of heroes in some way, and the war is still brought up by characters through in-game voice lines, shorts, comics, and more. In places like Numbani, omnics live in peace with humans -- while places like King's Row show the divide between the two groups. There need to be more omnics in the game's roster -- and Echo is a great step toward doing that. McCree found Echo because of Winston's recall -- and he made it known that Winston needed her. She is implied to be an important part of Overwatch's success if it is to come back, meaning Echo must be a hero with incredible strength. It is unknown if Echo will be a damage hero, a tank, or a support -- but most fans are assuming she will join as some kind of support character, and Blizzard is aware of the game's ​need for more tanks and supports. With Echo in Overwatch, the story will also likely begin to move forward, instead of constantly focusing on the past. It is important for Echo to be in the story as another heroic omnic, a hero that can possibly improve the game's unbalanced classes of heroes, and a character that can push the story forward.